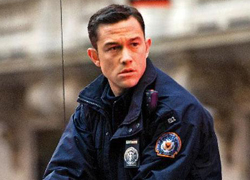 Last month, HitFix piqued the interest of Batman fans with the rumor that Joseph Gordon-Levitt would return to the big screen as his John Blake character from The Dark Knight Rises (having now assumed the Batman mantle) in Warner Bros.’ upcoming Justice League. Although the rumor was immediately denied by the actor’s representatives, Movieline today caught up Christopher Nolan and asked him about the possibility directly. Although Nolan’s comments don’t really imply anything one way or another, it’s a good bet that they’ll still fuel a great deal of continued speculation about the future of DC Comics on the big screen. Nolan is now producing Zack Snyder’s Man of Steel and Snyder himself recently told The New York Post that his take on the iconic character would “keep them on course” for a 2015 ensemble film. At this time, however, the only solid fact about Justice League is that the studio is currently working from a script by Will Beall and aiming for a 2015 release.